One Belt One Road (OBOR) is an initiative launched by Chinese President Xi Jinping in 2013. 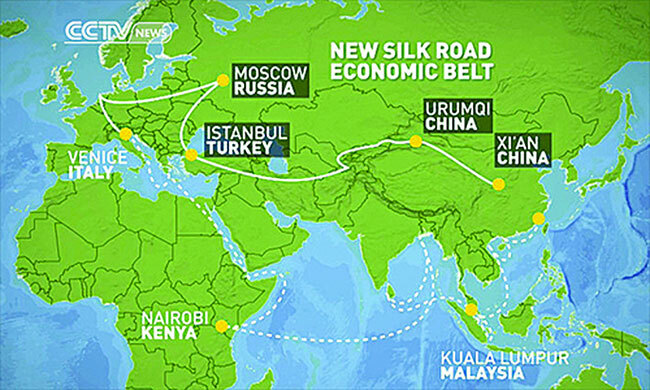 The OBOR runs through Asia, Europe and Africa, connecting East Asia at one end and European countries at the other. More than 65 countries stand along OBOR corridor with 4.4 billion people—63 percent of world’s total population. On May 12, 2017, Nepal formally became a partner in OBOR initiative. This initiative can help Nepal to achieve Sustainable Development Goals through agriculture development because agricultural cooperation has started to flourish among OBOR countries. Nepal is in need of investment to develop various agriculture related infrastructures which may take years. Thus Nepal will certainly benefit through OBOR, which particularly aims at promoting connectivity on infrastructures and trade. One of the new windows of opportunities from the OBOR initiative could be the rise in investment for agriculture development, as agriculture is one of the major sectors for investment. China looks keen to invest more in OBOR linked countries including Nepal. Food and Agriculture Organization (FAO) has developed a specific framework for agriculture sector for implementing OBOR. The framework seeks to promote four flagship programs: i) one health approach for sustainable agriculture and trade, ii) sustainable food production and value chain development, iii) science and technology for agro-food innovation to combat climate-change and iv) smart agriculture, and information and communications technology (ICT) application in the food industry. This article focuses on sustainable food production and value chain development. Irrigation is one of the priority inputs for increasing agricultural growth through intensive crop production for which we have abundance of water resources (both surface and groundwater) in Nepal. But the extent of reliable irrigation is rather limited. The total cultivated land in Nepal is 2.64 million hectares, out of which only about 1.76 million hectares are irrigable. Technically, almost all of the cultivable land in Tarai is irrigable, whereas the percentage of irrigable land in hilly and mountainous regions is reported to be 34 and 24 respectively. But out of total cultivated land, only about 20 percent has year round irrigation facility. That is why our agriculture is depended heavily on monsoon rain. Considering sustainable irrigation and tapping hydropower resources, as well as stabilizing water flows as a means of flood control, the surface-water resources should be seen as an important strategy for increasing production and productivity of crops. 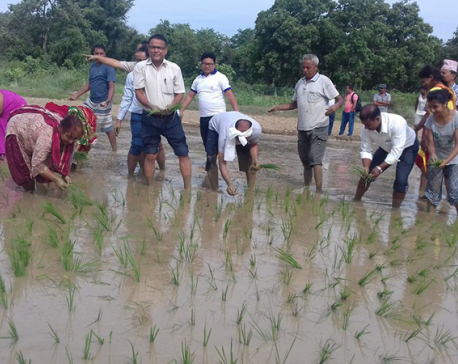 The cropping pattern is now changing and even rice can be harvested three times if there is irrigation water. For this we need to develop such irrigation projects which draw water from the perennial rivers all the year round. Unfortunately, drawing water from large and perennial rivers requires large diversion structures often involving storage dams, tunnels and multipurpose use of water. These require high-tech and large investment which Nepal alone cannot provide. In the recent years, there has been increasing trends in crop diversification toward horticultural and cash crops in Nepal. But productivity of these crops and quality of their products are low. This is linked to use of marginal lands, low-yielding varieties and other factors such as traditional crop management practices. Moreover, the issues and challenges of mountain agriculture are location specific and in order to address them effectively, there is a need of the Mountain Agriculture Research Center (MARC). Nepal is the appropriate country to invest for such research center. When production increases, market access becomes vital to make production sustainable. In order to improve market access, we need to address issues along the entire value chain for enhancing agricultural productivity. Major agricultural commodities for markets include crops such as rice wheat, maize, pulses, tea, coffee, ginger, vegetable seeds, flowers, and medicinal and aromatic plants, milk and meat. At present market infrastructures to handle these commodities are inadequate. Furthermore, some of these commodities have been exported in their raw form with little or no value added, resulting in their reduced competitiveness in the global market. In order to make value chain strong and effective in favor of small farmers, Nepal has to develop processing and market infrastructures along the road corridor. Other national pride infrastructure projects are related to transportation and agro-tourism. Nepal has already proposed to expand railway link from China to Nepal that will connect Keyrong with Kathmandu, and further to famous tourist destinations of Pokhara and Lumbini. Nepal also needs to address the challenge of linking production areas to the agricultural markets through rural roads. Agro-tourism is the emerging industry which promotes both agriculture and tourism in a sustainable way. Agro-tourism opens the gateway for the visitors to the agriculture farm and ranch. It is a type of vacation in which tourist visits on farm and gets to know about farming system and other ongoing activities. Tourists interested in agriculture can involve in local level production and management. 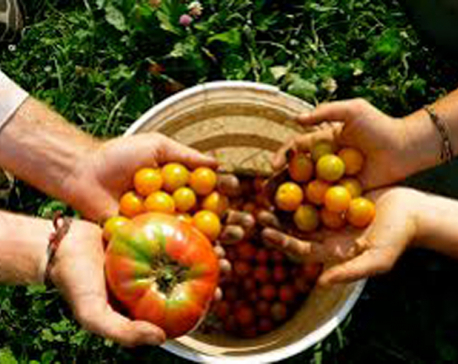 Thus agro-tourism promotes local agricultural products and practices. Various farm activities, such as harvesting of fruits, milking of animals, honey making, and horse riding can attract tourists. As an agricultural country, Nepal has unlimited scope of agro-tourism. It can also help conserve local environment with the introduction of organic farming. The government of Nepal needs to create a competitive and investment friendly environment by making the administrative procedures simple and easy and also by providing attractive incentives and facilities to the foreign investors. The government should aim to make Nepal one of the safest and suitable business destinations in the region. Agricultural projects with primary objectives of infrastructure development including effective use of land and water resources should be developed. However, such projects need to be prioritized for increasing farmers’ incomes and protecting the environment through land terracing and harvesting of runoff water in small hill ponds. At the same time, a sharing, coordinating and co-consulting mechanism also needs to be established for addressing issues related to climate change and trans-boundary diseases. However, anyone looking to benefit from China’s investment in OBOR should understand the different bodies that have been set up to distribute the funds and conditions attached to such funds. OBOR not only provides an opportunity for Nepali agriculture but it also creates a challenging situation as Nepal lacks competitive strength. Balancing geopolitical and environmental concerns are equally important. The rapid agricultural intensification, high input technology and use of high yielding hybrid varieties have increased the use of agro-chemicals.